Thank you for visiting Mastatix, Ltd. Bovine infectious mastitis (BM) is the most economically important disease of dairy cattle in the USA and worldwide. The total economic impact of mastitis in the US in 2010 was close to $2 billion and includes lost revenue for discarded milk, lower milk production, treatment of cattle, culling and cattle mortality. Currently, the most common method for diagnosis of BM involves counting all the cells found in milk. This is referred to as the somatic cell count (SCC). In clinical mastitis, the SCC is often very high (>500,000/ml) and milk containing such high counts is of low quality. The problem today, which accounts for most of the lost revenue described above, is the diagnosis of subclinical infections. 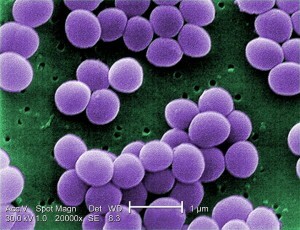 Subclinical infections have no gross signs of disease, and often the SCC is very low, making diagnosis difficult. Identify functional subpopulations of inflammatory cells. From this information we can diagnose infected cows and also predict the duration of infection along with the cow’s immune response to the infectious agent. This information is vital to design the choice of therapy. Our unique algorithm has been validated under various conditions, including cross sectional evaluations of dairy herds and experimental longitudinal infection studies.